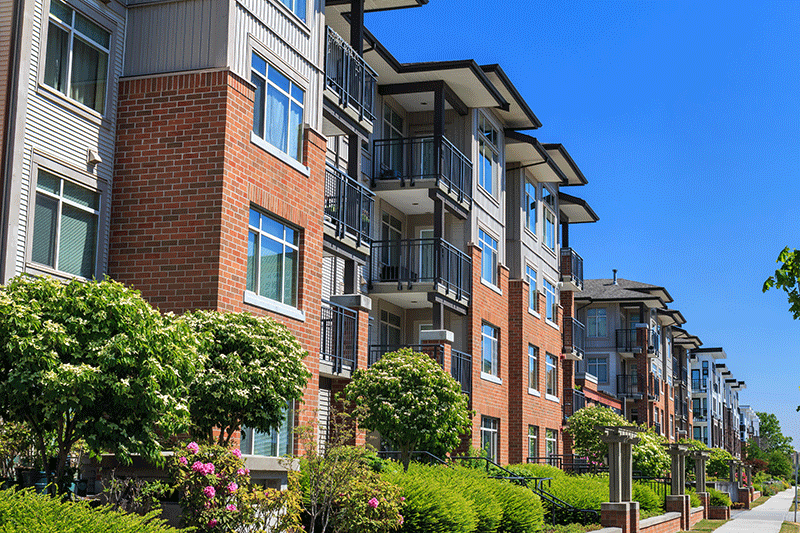 If there is one thing we can all agree on in the pest management industry, it’s that managing pest problems in apartment buildings is not easy. Utilize the whole staff to accomplish your goals. If you are responsible for a small apartment building, you may have to deal with the manager, maintenance person and salesperson all rolled into one. In a larger complex, though, multiple people may play these roles. The first step in implementing a successful Integrated Pest Management (IPM) program, regardless of staff size, is to get all individuals on the same page — including the residents. Involve the residents. This may seem like the most challenging part of the plan, and we’re only on step two! At the end of the day though, resident involvement is absolutely crucial for success. Pests such as cockroaches and rodents thrive in unclean and cluttered environments. Educating residents on how they can prevent pests is a key step in your building’s IPM program. Work to educate staff and residents. What is the old saying — you don’t know what you don’t know? Setting the expectation that all residents and staff members are going to assist in the efforts to prevent pests is great in theory, but if they don’t know how to do that, it will never work. Consider working with the apartment company management to create a formal training plan and/or distribute printed literature on the most common pests found in apartment buildings. Outside of pest information, these resources should include cleanliness expectations for each resident, steps to take if they suspect a pest and key warning signs of common pests. You also should notify tenants that over-the-counter pesticides are not the answer. Over-the-counter pesticides often are used inaccurately, which may be dangerous to apartment dwellers. They also may counteract professional pesticides or even make a pest issue worse if they aren’t selecting the right products. For example, cockroaches will scatter to avoid a “bug bomb” and go deeper into hiding, and some species of ants will actually divide their colony to ensure survival when repellents are used. Uphold expectations. After staff and residents are trained, require inspections at scheduled intervals that plan for designated individuals to physically go inside each unit at least twice a year. They should be looking for actual pests; signs of pests such as feces, rub marks or gnaw marks; structural conditions that would be conducive to pests such as holes or gaps around external utilities, windows and doors; or internal conditions like clutter, lack of cleanliness or improper food storage. Adults are pale brown to tan and are ½-inch long. Adults have wings and two dark stripes that run lengthwise just behind the head. German cockroaches have the highest reproductive potential of all structure-invading cockroaches, meaning they lay the most eggs and live the shortest amount of time. German cockroaches are usually found close to moisture and food (behind sinks, in cabinets, beneath kitchen equipment). If German cockroaches are found away from food sources, it signifies a very significant population. What should residents do to prevent cockroaches in their apartments? Seal all food in plastic or glass containers. Wipe down all kitchen surfaces regularly. Remove trash frequently from unit. Throw away cardboard boxes and paper frequently (a favorite of cockroaches). Wash and store dishes immediately after use. Clean under utilities on a regular basis. Report any moisture problems to management immediately. Droppings, which resemble pepper flakes or coffee grounds, on countertops, drawers, corners of the room/counter, along the tops of doors or cracks/crevices. Egg capsules, which are dark, reddish-brown and usually appear near food and water, or empty egg cases. A healthy home is one that is dry, clean, ventilated, safe, well-maintained and pest-free. Your residents have high standards when it comes to pests, and so should you. A little work on the front end can result in big returns! Shane McCoy has a master’s degree in entomology with 23 years of experience. He is currently the chair of the Copesan Technical Committee and the director of quality and technical training for Wil-Kil Pest Control, Sun Prairie, Wis. He also has 13 years of pest management experience with the U.S. Air Force. This Tech Talk article was originally published in the December 2018 edition of PCT magazine.